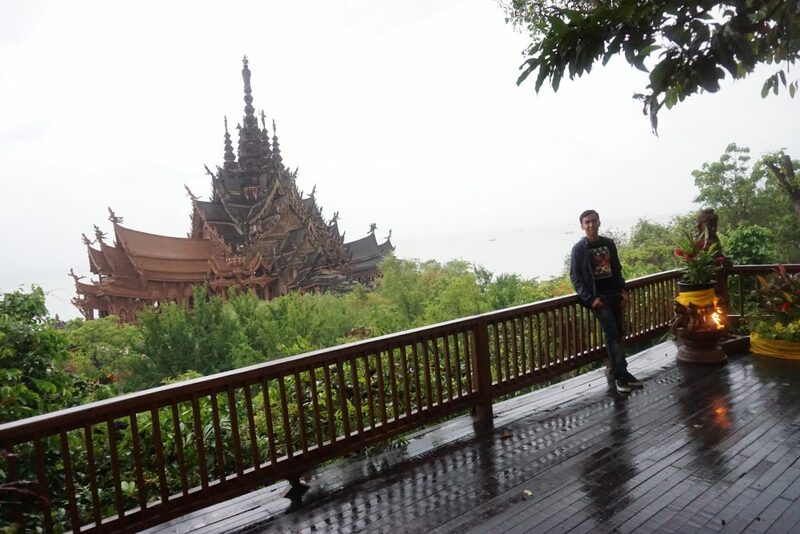 Sanctuary of Truth in Pattaya is one of the unseen places in Thailand. This place is truly a work of art because wooden architecture is a sight to behold. Imagine seeing every square inch of wood carved into defined shapes. These shapes are not just your ordinary sculpture because they are representing deities and spiritual motifs. We were totally surprised of what Pattaya had to offer us. 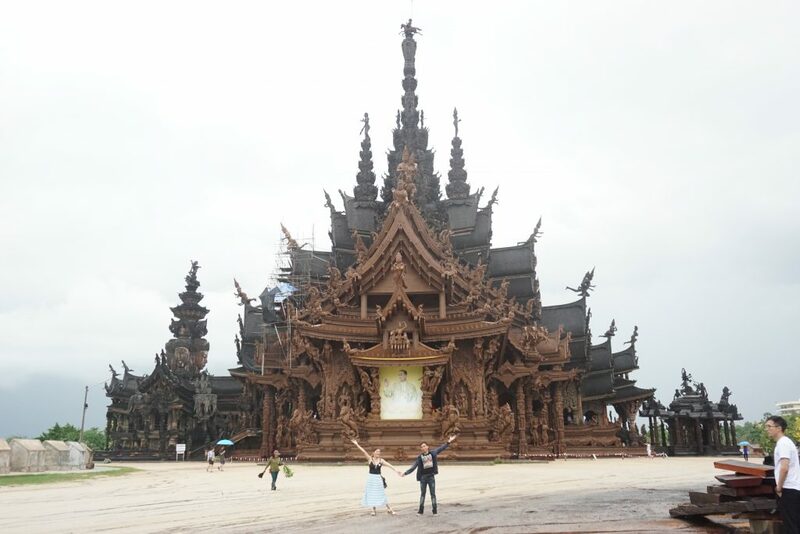 The Sanctuary of Truth which is located by the beach in close proximity to Pattaya city proper is on top of our must-visit places. 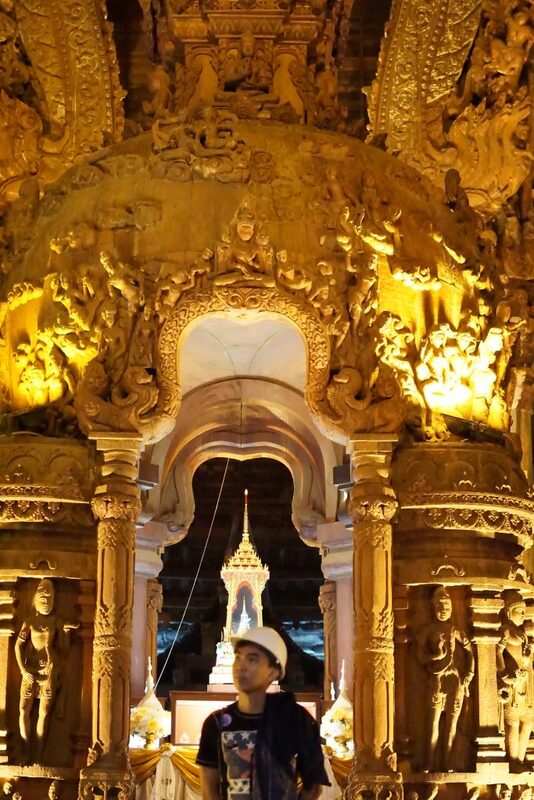 Below are some of the amazing ‘truths’ behind the Sanctuary of Truth in Pattaya you should know before you go. One| It is the largest wood building in Thailand. 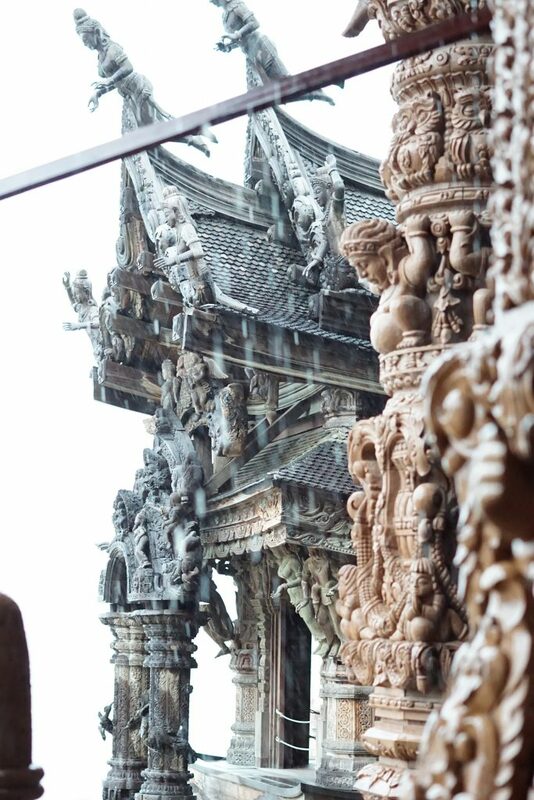 The Sanctuary of Truth in Pattaya is an all-wood building that is filled with sculptures made based on the traditional Buddhist and Hindu motifs. The building is 105 meters in height, and the whole building covers an area of more than two rai (1 rai = 1,600 sq. m.). Two | It adopts the ancient Thai carpenter style. The Sanctuary of Truth in Pattaya is built by Mr. Lek Viriyaphan who is the founder of the ancient city and Erawan elephant museum. 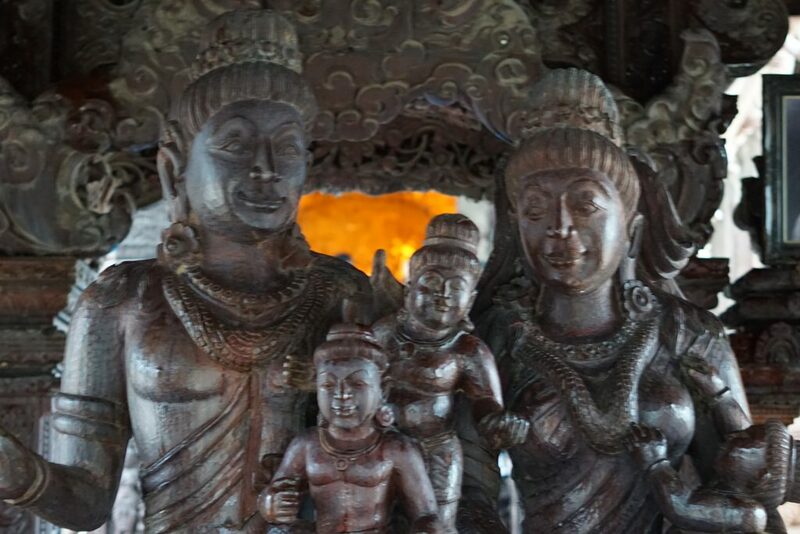 Inside the sanctuary, you can find wood statues and wood carving pieces telling about the philosophy of life. The inspiration of the structure is the coming up of creative ideas to reflect the once peaceful lifestyle of Thai people that are living peacefully due to strong belief and respect. It seems gone is the peaceful way of life nowadays. Three | The whole structure is wooden, made without nails. You probably have the idea now of how amazing this artwork is. 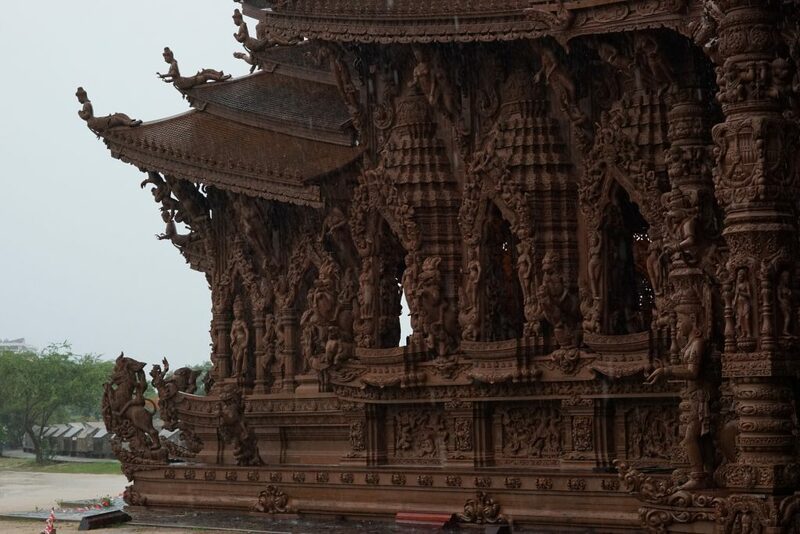 Thai people made this building possible by just using their hands, hammer and chisel. Only hardwood is selected to build the main structure of the building. 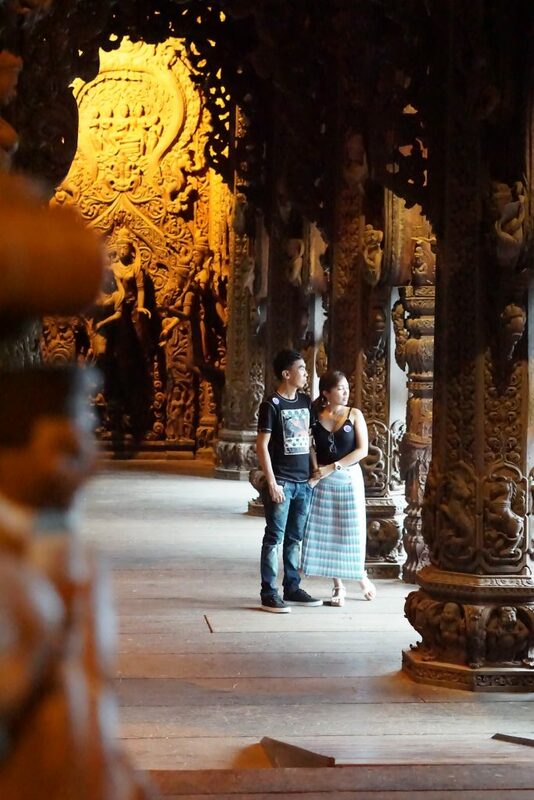 the main post is actually made from a 400-year old wood and ancient joining techniques were used to build it. Four | The building is still work in progress. The work of the building started in 1981, and until now, there are still plain wood poles and unfinished wood pieces that are waiting to be carved into something amazing. 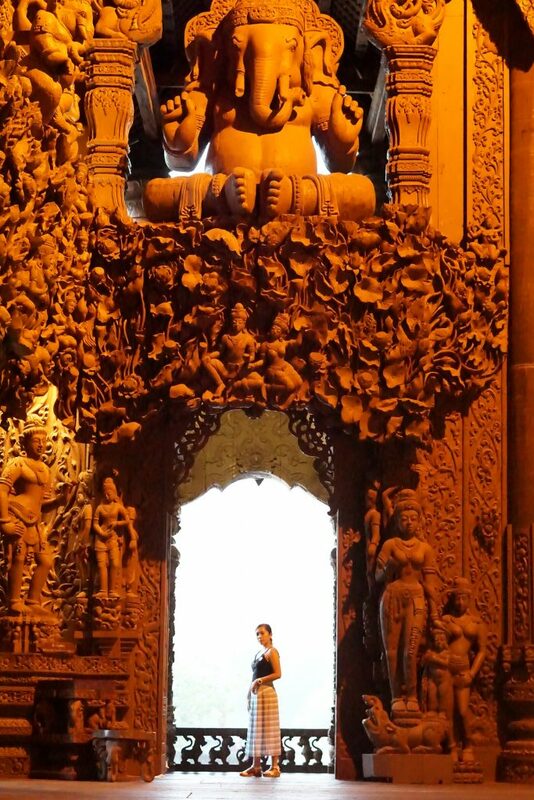 The art style being used in the sanctuary is what they called one of the masterpieces in this era. 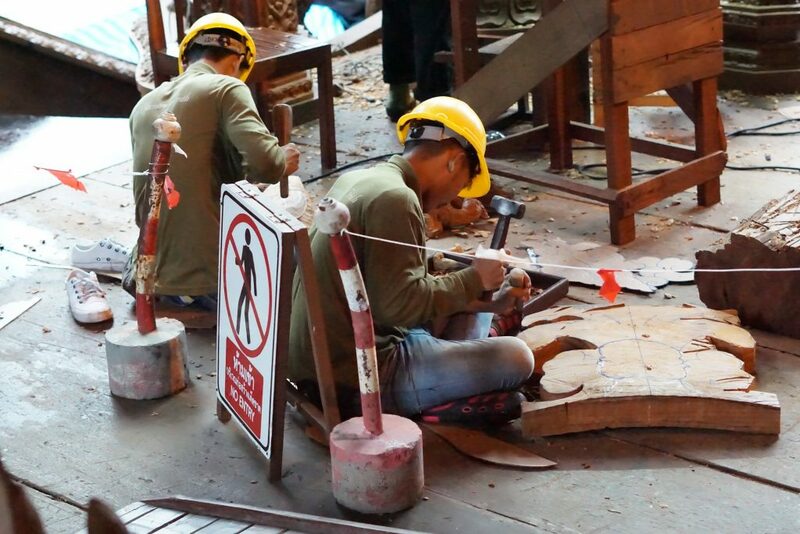 Thai carpenters with wood pieces and their chisels! Five| They observe proper dress code. Inside the Sanctuary of Truth, tourists should observe no tank tops, very short shorts, mini-skirt, or dresses above the knees. Do not fret if you show up in tank top, shorts, or any of the mentioned because there is a small shop just outside the entrance selling cover-up. You better go there prepared and appropriately dressed to help you save a few bahts. I have my shall with me (left it for a while for this shot). SAFETY FIRST | Wear a helmet inside the Sanctuary of Truth. Since the Sanctuary of Truth is still under construction, you will be required to wear a helmet. Inside you will see some scaffoldings. So, safety first! Know about operating hours and ticket price. Opening hours: 8am – 6pm. There are guided tours every 30 minutes. 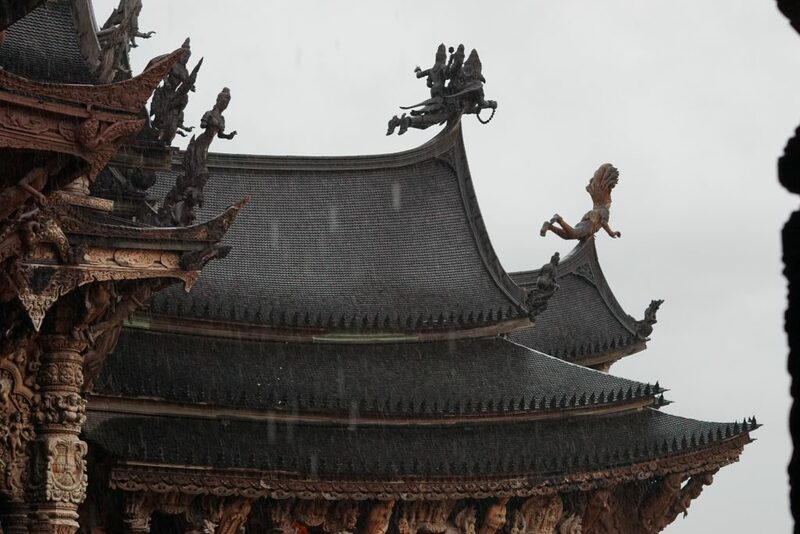 Even in the roof, you can find wooden carvings and statues. Look how beautifully made the walls are. That’s it! I hope this article give you everything you need to know before you visit The Sanctuary of Truth. Remember three things: Pack light, be there as early as possible and most importantly, dress appropriately for your unforgettable marvel experience in the wooden world.